Many people would be reluctant to secure a professional relocation solution for their property removal, due to the apparent high costs that come with such services. 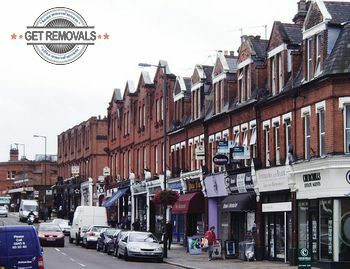 Removals St Margaret’s is a professional moving company, and we adhere to a strict policy of fair priced, comprehensive removal services that work with our customer’s budget and requirements. We back up our affordability and coverage with sound technical expertise and professional dedication on every level. We work with specially qualified pro movers, who are just as passionate about their work, as customers are about getting their removal done right. Our teams of specially trained movers will go about their work with professional pace, precision and efficiency. A good quality removal service should ensure the safe handling, damage-free transit, and timely delivery of customers’ belongings from A to B. We are well aware of this, therefore, we work with experienced drivers behind the wheel of specialised removal vehicles. Our removal vans are clean, equipped for heavy lifting, and make use of satellite navigation systems. The removal teams will also handle the packing if items being shifted. Alternatively, customers can self-pack, in which case we will deliver the required kit of packing materials to them. Our moving services will surprise pleasantly with their affordability and cost efficiency. The company will provide all customers with free quotes, customised pricing and midweek discounts on all removals. There will be no hidden fees or additional charges. Additional advantages customers have access to include: round the clock customer support, removal advisory, wide coverage on pickups and deliveries, specialised removal coordination, full liability insurance. The entire relocation process will be handled expertly by our diligent and well-organised removal crews, in the meantime our customers can be out and about, occupying themselves with more pleasant things. St Margaret’s has a decent number of notable, Grade II listed buildings and period architecture fans are in for a nice field day. There is Gordon House – a Georgian era grand mansion. The building was part of Brunel University for many years. There is also the Kilmorey Mausoleum though the place is not always open for public visits. A notable place of worship in the area is St Margaret of Scotland Roman Catholic Church, which is a contemporary design, Grade II listed structure. Another notable address in St Margaret’s is Sandycombe Lodge – another picturesque cottage-style Grade II listed building. Most of the housing stock in the area dates back to the Victorian era.